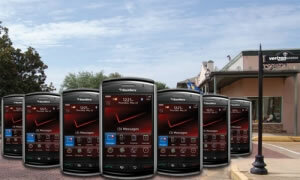 Verizon Wireless is set to discontinue their phone upgrade credit and instead charge a fee to do so. The fee is in line with the competition, however, as AT&T recently doubled their upgrade fee from $18 to $36 for all smartphones. Starting April 22, customers will be charged a $30 fee when upgrading to a new handset in addition to locking in a standard two-year service agreement. Verizon claims the fee is necessary if they want to continue offering the same level of customer service moving forward, which includes online educational tools, wireless workshops and consultations with customer service reps. The company previously offered customers a $30 credit when upgrading to a new phone after completing at least 20 months of a two-year contract. Essentially this equates to you paying $60 more for a new phone versus before. Of course, it’s still much cheaper to take this route than to buy an unsubsidized handset. The fee is the latest in a series of recent changes affecting all wireless consumers, regardless of carrier. For example, AT&T is now allowing customers to unlock their iPhones for use on other networks when traveling abroad. The only catch is that your phone has to be out of contract to do so. Verizon and Sprint both allow iPhone unlocking regardless of contract status. Other changes include modified data and text messaging plans such as removing unlimited plans and throttling high-usage data users in certain circumstances in addition to charging overage fees.